For those who like it hot! This was so much fun incorporating a painting into a shadowbox and using other objects to enhance the theme. This would make a spicy addition to any kitchen. 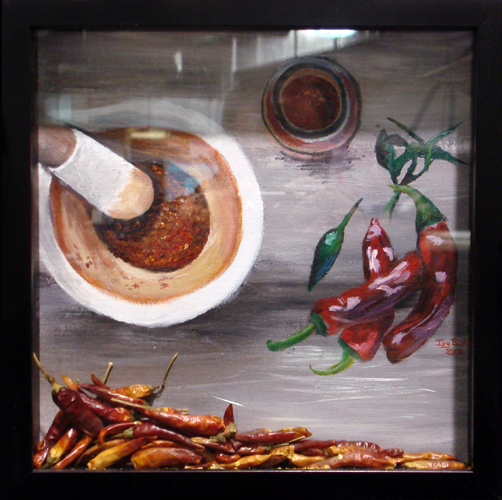 This is a 12″ x 12″ Canvas panel mounted in a shadow box filled with decorative chili peppers.